This article talks about holy spirit, honour, identity, discrimination, character, healing, disability, value. 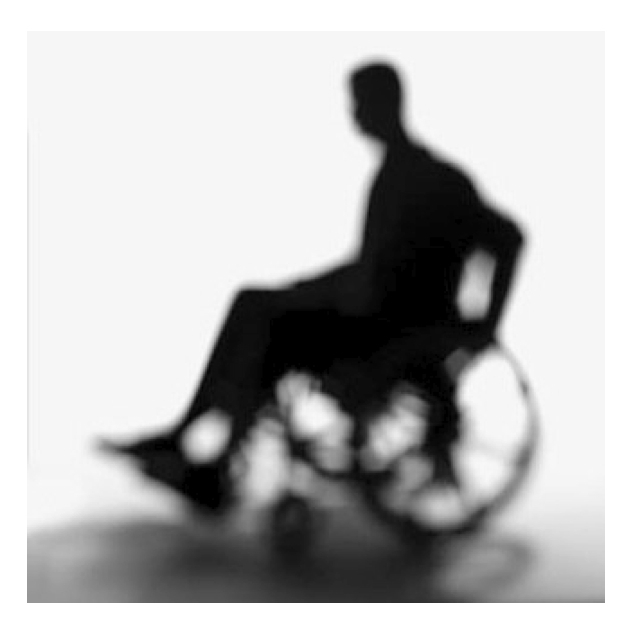 This article, written by Fiona Maccabe of the organisation Through The Roof, explores the subject of how churches, and in fact each of us, should treat disabled people. Fiona explores our attitudes, the need for changed hearts, the obstacles, and the blessings faced when we treat everybody the same, regardless of physical or mental ability. Fiona uses Isaiah 53 as a springboard into writing very honestly and frankly but with great sensitivity and wisdom on a subject that is very close to her heart. When you encounter a visibly disabled person, how often is your response: ‘That’s sad, how terrible, what an awful position to be in, you poor person’? As an able-bodied person that’s certainly been one of mine. Disabled people had little ‘beauty or majesty’ to attract me – I felt sorry for them and ‘esteemed them not’. Perceiving disabled people this way can lead to other reactions too – the harbouring of unrealistic ideas about how ‘brave’ they are, guilt at feeling more advantaged, an unnamed discomfort, even irritation, creating a desire to withdraw or escape. The disability may intrude, introducing a note of awkwardness that feels difficult to avoid. Now put yourself into the shoes of that disabled person. Imagine what it’s like to provoke that reaction everywhere you go – to see the pity in people’s eyes, feel it in their discomfiture, hear it in the well-meaning but patronising comments. In all these there’s a distancing of ourselves from disabled people, a need to see them as somehow different to ourselves. People tell us to see the person not the disability – but it’s not that easy in practice. That’s why, when disabled people are asked what makes life most difficult for them, they invariably answer other people’s attitudes, not lifts or ramps or loos. That’s why we need to ask God to change our hearts, not just our buildings. In fact, these reactions say more about us than they do about disabled people: they stem from our own inner fears and personal insecurities, doubts about our self-worth and misguided value systems. It is our hearts which are in need of healing far more than the bodies of disabled people. The Disability Discrimination Act has prompted many churches to make excellent improvements to their buildings. However God’s church is made of ‘living stones’. Physical adaptations cannot do the trick. They must be accompanied by change from within – which is far harder to achieve. Disability is difficult – there is no escaping from that – but other people’s attitudes can make it so much worse. A brief glance at the gospels shows the universal acceptance offered by Jesus to disabled people was no more common then than it is now. Blind Bartimaeus was told to ‘shut up’, lepers and other disabled people were kept away, hidden in ghettoes. Disability was viewed as a shameful and horrible curse – which is how many people also secretly feel today. As these verses show, Jesus clearly knows what it’s like to be viewed through such fallen human attitudes. He also longs to heal us from them, so that his church can accept and value disabled people as freely as he did. But such change is not an easy process, nor a quick one. Political correctness is no answer – it is just a superficial coating smoothed over unreformed hearts. The problem is, disability disturbs people at a very deep level. It surfaces all kinds of hidden fears – about our own inner brokenness, our physical vulnerability and mortality, and the nature of our human existence. This is probably why disabled people have been shunned or sidelined by virtually every society across all time. It’s also why becoming involved with disabled people can feel so threatening – it goes against our natural grain. The first step is to throw off political correctness and face up to our true feelings about disability. We need to confess honestly what our hearts really feel about disabled people, and the demands they make on us, which is not necessarily what we would wish – and then ask God to help us change. Only then can we offer disabled people the genuine acceptance they so desire – instead of the pseudo-acceptance that so often substitutes. But this also means being willing to submit our wills to God and to follow where he leads, even if it doesn’t initially feel appealing. However, it’s important to realise how much God has to teach us through disability – about weakness, vulnerability and reliance on God’s grace. In particular, learning to accept disability in others means learning to accept our own disabilities too. This is what makes it both so hard and so rewarding. Very few people fully accept themselves as they are. Most of us struggle with the illusion that we have to be perfect or achieve in order to be loved. Disabled people can help break the power of this myth. They model that we don’t have to be whole or ‘healed’ or perfect in order to be loved, and that our true value is not measured by what we can or cannot do. This is something we find so very hard to grasp. If we trust God, if we let him lead us down this unpromising looking path into the world of disability, we will find ourselves being transformed by the people that we meet. They will challenge our attitudes and values head on; they will change the way we think about ourselves and other people; they will test our hearts and expose offensive ways; they will dismantle the inner barriers which keep so many other people out, including God; and especially they will teach us how loved we are by God – just as we are. And the more at home we become with our own failings and limitations, the more at home we will feel with others who are disabled as well. This is what helps us realise how loved and accepted we are – in our universal brokenness. Discovering Jesus’ heart for disabled people involves discovering his heart for us all – That’s why churches need to make more effort to reach out to people with disabilities, and to receive and value them when they arrive. It is not just about what the church has to offer disabled people, it’s about what disabled people have to offer the church. In the gospels Jesus did much of his teaching through disabled people and he wants to do the same today. Ultimately I believe that learning to embrace and welcome disabled people is also all about learning to embrace and welcome Jesus. The same feelings which cause us to withdraw from our disabled brothers and sisters keep Jesus at arm’s length too. As Jesus himself tells us, whatever we do for the least of these brothers and sisters of his we also do for him. We could ask, when Jesus comes to us now in the shape of a severely disabled person, do we recognise and receive him? Do we value and appreciate him? Or is he, who became disabled and broken for our sake, still turned away and not understood? And the more we step out in faith to overcome our prejudices and our fears, the more whole and complete the body of Christ will become. If the church is to become the fully inclusive and accepting community God has always desired it to be, it must begin embracing humanity in all its forms. Without this it cannot fulfil its prophetic calling, to reflect God’s character and heart to the nations. Jesus says: ‘By this all men will know that you are my disciples, if you love one another.’ (John 13:35) God longs to see the barriers between disabled and non-disabled people broken down, and more disabled people being drawn into the church – and being genuinely honoured once they get there. For in many ways, they more than anyone else share in the cross of Jesus, whose body was broken and disabled for our sake. And one way we give the world a picture of God’s love for humanity is through the time and value we give to those affected by disability – and in so doing we too are drawn into a deeper experience of God’s unconditional love.